Man, I wanted to get this review out earlier. And that's the problem with certain indie hip-hop projects: you might see the duo name and shrug unless you know who it is, and when I heard it was actually the Detroit MC Elzhi teaming up with veteran indie producer Khrysis to assemble a project, I definitely wanted to get in front of it... but it fell back on my schedule and I just never got the chance to push it up before now. Not ideal by any means, but considering how this seems to have flown under the radar for a lot of critics, both on and off YouTube, better late than never! And while most of you should know Elzhi from his work in Slum Village or his mid-2000s breakthrough The Preface, newer listeners might have caught his 2016 release Lead Poison, the sort of layered hip-hop overflowing with great storytelling that hooked me very quickly, even if I wouldn't quite call it a personal favourite of mine that year. Now with Khrysis... hell, dig into the liner notes of Justus League, Little Brother, Rapsody and Jean Grae and you'll see a list of credits going back to the early 2000s, infused with the sort of textured, jazz-influenced samples that'd be a natural backdrop for Elzhi to dominate. 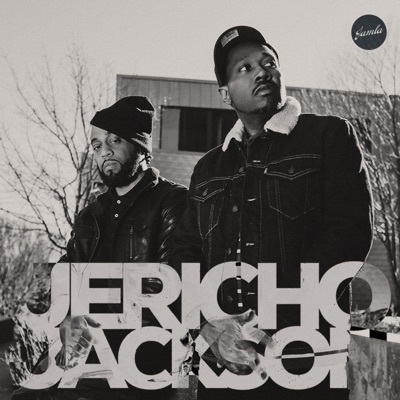 So with them teaming up for a tight collection of songs just under forty minutes, I had a lot of high hopes for this, so what did we get from Khrysis & Elzhi Are Jericho Jackson? Honestly, I'm of a few minds on this album, the majority of them positive, but also confronting some circumstances that I'm not really sure could have been avoided. For one, given the length and tightly structured bars and production that feels modern and textured but definitely paying its dues to the past, it's hard not to make a subconscious parallel to the new Phonte record... which would be fine if I thought they were equally as good, or if I thought Elzhi and Khrysis had surpassed Lead Poison two years ago. And while I don't think it does either, this project remains puzzling, the bars and wordplay sharp as ever but the focus less so, which is why the artistic digressions do make sense but seem to add up to a little less than the sum of their parts. Again, good project, but I'm not quite convinced it's a great one, no matter how much I want it to be. And let me make this abundantly clear, if you're coming to this record just to watch Elzhi dump colourful and creative bars on display, you're going to get it. His flow still owes a considerable debt to Nas, but when the rhymes connect and the storytelling instincts come to the forefront like on 'Seventeen', you get the sort of layered wordplay that paints a vivid picture. And as with Lead Poison, Elzhi's most complex and thought-provoking material circles his creative process and paranoia, from the tangled what-ifs of 'Overthinking' to the ruthless string of braggadocious punchlines on 'Breguets', 'Self-Made' and his verse on 'Talkin' Bout'. Now the paranoia doesn't always stick: 'F.R.I.E.N.D.S' might be well-structured with the cute acronym of 'fake relationship involving enemies needing disguises', but beyond the bitter history and the storytelling it doesn't really delve deeper, and 'Cuffin' Season', while the larger point of the song is greed, the second verse opens with a digression about how a lesbian pretends to be straight to hustle a guy and it just comes across in poor taste, not exactly framed with nuance. Or you get cases where the nuance is there but it just doesn't connect as strongly as it could, like 'Listen', where Elzhi describes a failed relationship by reminiscing on all the things they did together and what might have been, and you could interpret Amber Navran's hook as a response to him that he should have listened to her from the start, but it's framed in a way where it could just be a romantic sentiment and it lacks some impact. That's the weird thing with this record: the details are fleshed out and the bars have some layered subtlety - for instance, I love the line on the hook of 'Self Made' how 'my pen bleed while yours be blood clotting', in how it highlights the link between writing bars and keeping the wound open in one's art, which on later tracks is juxtaposed against his very real quest for self-improvement on 'To Do List' and 'Breguets' - but it doesn't feel like it adds up to more beyond that, detailed execution that builds to something without the same weight. And this would be fine enough - there are plenty of underground MCs who built their careers out of flexing their cleverness and lyricism - except that with the extended inclusion of lecture samples like on the intro and the second half of 'Seventeen' you're left thinking that it's trying to present itself as carrying more weight instead of letting the stories speak for themselves. So fine, it's a little more lightweight than I was hoping, but the rapping is still terrific and it manages to reveal more intricate lyrical details with every listen - although I do question why Khrysis felt the need to take up a verse and the hook on 'Talkin' Bout', not because he's a bad MC or doesn't have a nice voice or flow, but he can't help but be outshone on the mic, his strength is in production... which I wish I liked more. And yes, I will wholeheartedly admit part of this me nitpicking a very specific element that most people probably won't notice, but the audiophile in me was repeatedly bugged by this, so here goes: remember when Blu put out Good To Be Home four years ago and the mastering of the drums was so damn inconsistent and lacking? Well, that's certainly not the issue with Khrysis... if only because he goes in the opposite direction and takes a very textured, pretty impressive bass beat on some tracks that is mixed in a way where it has an interference pattern with the vocal line, almost where the beat is so heavy it muddies or blows out part of the low-end of Elzhi's voice. And yes, I listened to this on three different systems with the highest quality files off TIDAL I could get, I fully understand if this is just an issue that bugs me... but man, it got distracting, especially when you consider that many of the drumlines and beats are really damn good! That's the really damn frustrating thing: I like the richer horn sections that Khrysis provides to songs like 'Self-Made' and 'Listen' and 'Breguets', or even just the deeper accents on 'Overthinking' that sound great - combined with the real texture given to the beats and arranged instrumentation, there's a thick smooth jazz vibe that plays really well opposite Elzhi's delivery, and while I really didn't like the scratchy shrillness of the synth line on 'F.R.I.E.N.D.S', that sort of tone is in the minority. But again, this is where the mixing becomes an issue, because for as lush as some of those samples can feel, when the beat is so much thicker and heavier you lose some of that melodic presence that could make them catchy - with how brittle the rest of the arrangement on 'Cuffin' Season' being the biggest example - and while that can work for a lot of hip-hop, if it's mixed to detract from the vocals, that becomes a real problem. But still, I really do want to praise this - even songs like 'F.R.I.E.N.D.S' which I don't really like are still decent tunes, there's not really a dud here. But if I'm looking for greatness, I think there were some parts of this record that could have used a once-over or a little more refinement, both in the writing and production. It's certainly close, which is why I'm giving this a 7/10, and totally a recommendation if you're into this sort of jazz-touched production and wordplay, but whether it's by a close comparison in my mind or just parts that didn't quite coalesce, it didn't get all the way there for me. Still, I am still a fan of both Elzhi and Khyrsis, so yeah, if you're curious and this flew under your radar, it's worth a listen - check it out!